One of the downfalls of working from home? Constantly meandering to the kitchen for snacks. I frequently find myself standing in the glow of the open fridge door, willing for something healthy + delicious to magically appear. Enter bliss balls. 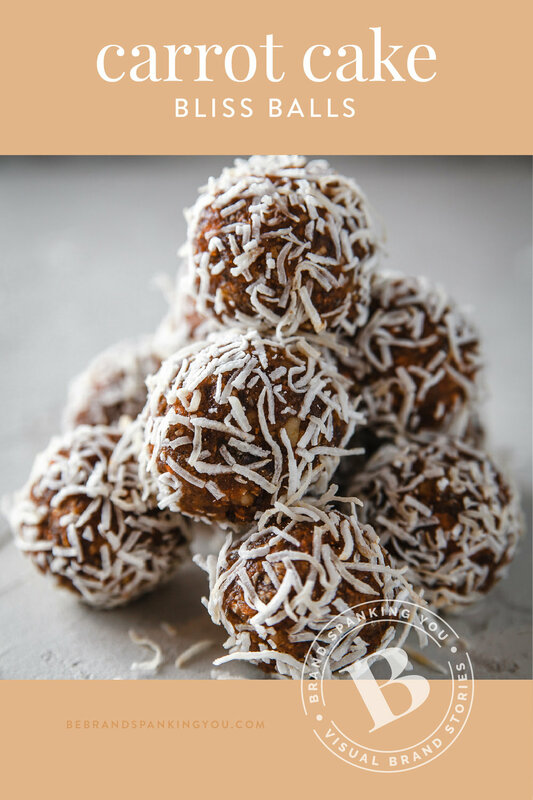 Or energy balls as some people like to call them. I’m sticking with bliss though. It just feels sexier. And let’s face it, when asked if I want more bliss or energy, I’m gonna choose bliss every time. That’s just me though. They couldn’t be easier- plus, you can make a big batch and bliss away all week long with them. These little gems have a subtle hint of one of my favorite desserts, carrot cake. Add all the ingredients to a food processor and pulse until combined. Scoop out some dough using a spoon and roll into balls. 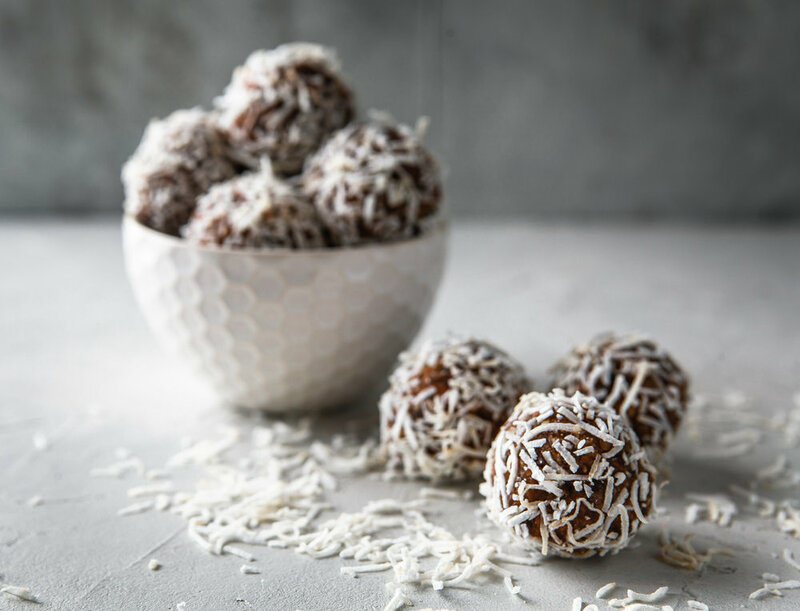 Roll each ball into the shredded coconut to coat.